Here's a couple of pictures of some recent finds here in California's gold country. 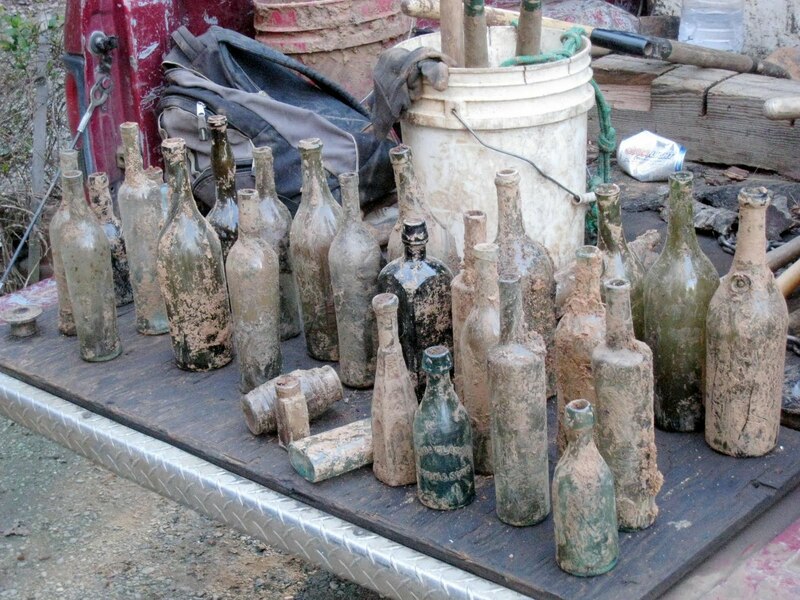 Appears the highlights of this dig include a Schnapps, western soda and some food and wine bottles. Very nice.... Keep them bottles coming out of the ground boys! Nice dig and photos. Gotta give credit to the gold county crew, it's tough up there !! 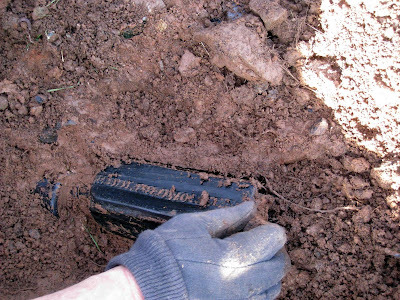 Any newer holes on the site ?